Why transparency and strong internal communication are what really help employees thrive How playing sports can help you get ahead in your career How to use soft skills during an interview to land your dream job Over 50 and looking for a new job? Avoid these 8 resume mistakes That bad restaurant review you read on Yelp may have been influenced by this odd thing If your coworker does this when they speak, they may be a psychopath 3 key things to ace the interview according to an expert Emotional intelligence: what is it and how can you improve yours? Cradle to grave contracts management for the sale of development efforts, materials, products, and services. Assess risks associated with the terms, conditions and other provisions of solicitations, business agreements and contracts, and recommend methods of mitigating those risks. Identify unusual contractual terms & conditions and facilitate acceptance or modification. Review solicitations and prepare responses and other input to proposals, bids, and contract modifications. Analyze significant, and/or unique contract requirements, special provisions and terms & conditions to ensure compliance with appropriate laws, regulations, and corporate policies and business unit procedure. Advise functional departments of contractual rights and obligations. Serve as the point of contact for customers and Company stakeholders for contract matters, and ensure timely review and approval or reconciliation of variations. Prepare, transmit, receive, and review written contract-related communications between Company and its customers. Recommend, review and monitor all procedures, methods, and practices, used outside official procurement channels for the exchange of technical data and information involving or related to negotiations of bids/proposals, or in the performance of contracts. Provide Company management with reports and data regarding: a) contract performance; b) business and contractual risks which may arise from proposed or actual Company decisions or actions; and c) contractual communications and actions which may be adverse to Company interests. Assesse need for and facilitate any necessary corrective action(s). Acquire and/or maintain a general understanding and appreciation of the business, technical and financial (profit and loss) dimensions of the bids, proposals and contracts being processed. Recommend improvements and changes in Company policies and procedures as related to procurements and terms & conditions for both buying and selling. Ensure compliance with Company policies and procedures, including those governing bid/proposal preparation, contract negotiations, correspondence control, performance of contractual requirements, record keeping, management of various contract or business-related agreements, and claim preparation and settlement. Provide the formal contractual interface with the customer for contract management. Monitor compliance with contractual and agreement obligations and facilitate corrective actions. Lead or support negotiations with customers and subcontractors, of contracts and subcontracts, related changes, and claims to achieve agreement or settlement within approved boundaries. Request, review or approve amendments to or extensions of contracts. May negotiate, facilitate, and/or document cooperative business agreements such as proprietary information, consulting, teaming, supply, or other agreements including determining the need for and obtaining legal reviews. Personally comply with, and ensure department compliance with, Company health, safety and environmental policies. Education/Training: BA or BS Degree (Business, English, Engineering, etc.). NCMA certification highly desirable. Experience: Minimum of 10 years significant and relevant experience in US Government contract drafting, negotiation, administration and management; experience of greater than 10 years, up to 15 years or more, is highly desirable. Knowledge/Skills: - Working knowledge and of the FAR, DFARS with familiarity and ability to work with other Government acquisition regulations is required. Basic knowledge and competence in US Government accounting practices as they affect contract - administration and performance is desirable. - Experience with Microsoft Office, including Excel and Word, required. SAP experience is highly desirable. - Must be able to work effectively with all levels of company employees and interface with customers. - Must be able to work with a minimum of supervision from broadly defined guidelines. Must be able to work effectively with all levels of employees and interface with customers. Individual will be required to sit, stand, walk regularly and occasionally lift 0-15 pounds. Primary workstation is located in an office environment, where the noise level is low. 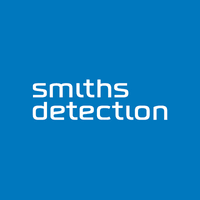 Smiths Detection is an EEO/AA Employer/Vet/Disabled. Smiths Detection, Inc. participates in the Electronic Employment Verification Program.